When you’re learning how to bake without ANY of your conventional ingredients, it can be a CHALLENGE. Take away your standard flour, sugar, butter, and eggs that you’ve been using for your whole life to make cookies, and NOW WHAT? 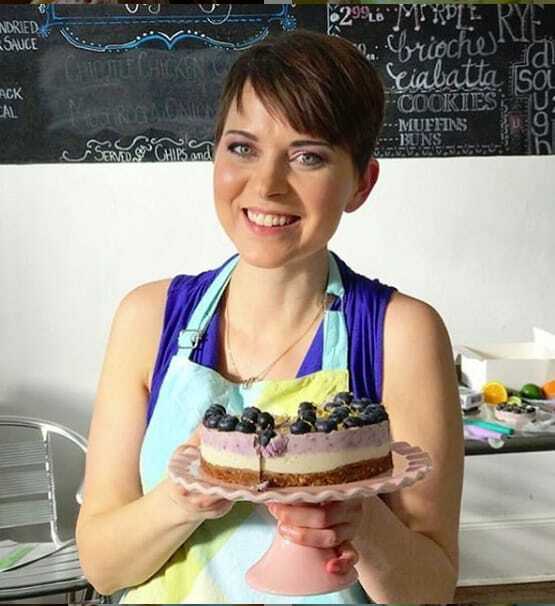 Thankfully I’ve learned some AMAZING baking hacks throughout the years of having to follow a special/restricted diet, and I’m so happy to share them with you!! So now you can have DELICIOUS chewy cookies with crisp edges and tender centers without cheating on your diet. 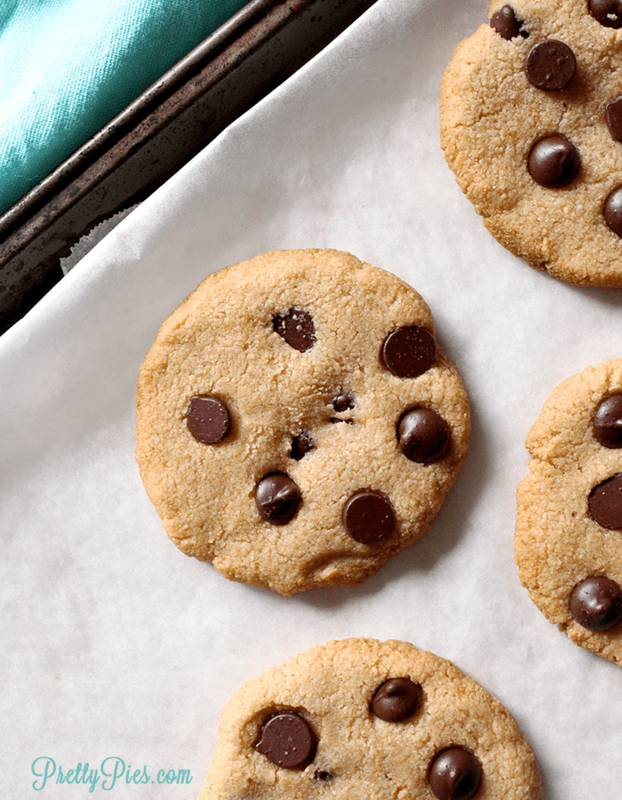 And they take less than 10 minutes of prep and ONE-BOWL, so you can be enjoying a FRESHLY BAKED warm cookie with melty chocolate chips in no time! 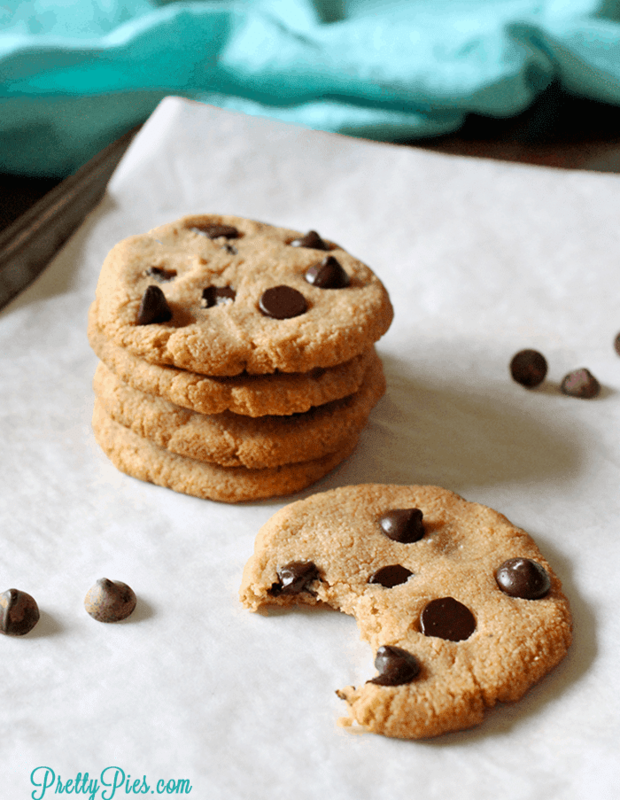 The BEST Flour for Grain-Free Cookies! Almond flour! Because of its neutral flavor, and higher fat content than grain-based flour, it gives cookies a nice moist texture without being dry or having to add sticks and STICKS of butter or cups of oil. The edges get a little golden and crisp, while the inside stays tender with that wonderful CHEWINESS. I buy my almond flour from Thrive Market. They actually have their own line of natural and organic products that are GREAT quality and very affordable price. >> If you want to try Thrive Market, use this link to get an extra 25% OFF your first order + a 30 day free trial membership! I did some experimenting in the kitchen and adapted my favorite Cutout Sugar Cookie recipe to transform it into Chocolate Chip. I used one of my favorite sweeteners for my “sugar” cookies: Lakanto (sugar-free) maple flavored syrup to replace “real” maple syrup. But Chocolate Chip cookies need BROWN sugar for that classic flavor. SO, with some tweaking I was able to change the recipe to use Lakanto Golden Monkfruit, which has a brown sugar flavor. So delish! While browsing Thrive Market’s website last month, I noticed they had Organic Buttery Coconut Oil (and for only $4.99! woah) so I jumped on the chance to try it out. And the verdict is: I LOVE IT. It has a very distinct buttery flavor. Almost like real butter! And absolutely NO coconut taste (for those of you who hate coconut). I’ve been putting it on my waffle every morning and I think it’s so yummy. 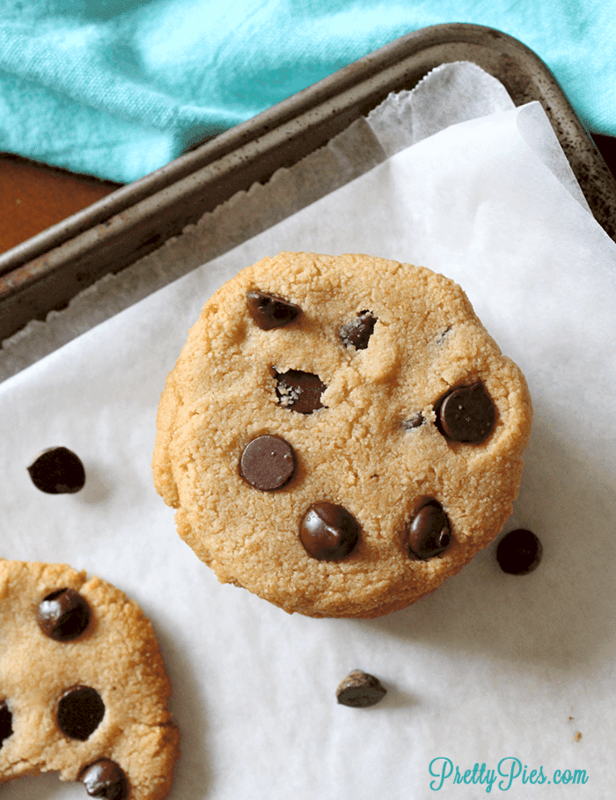 And it’s PERFECT for replacing butter in cookie recipes for all of us dairy-free peeps. Don’t have any buttery coconut oil? No worries. Any oil should work fine. Use whatever you like.. coconut oil, avocado oil, palm oil. I suggest one with a light flavor (i.e. *not* olive oil). Small Batch or Big Batch? 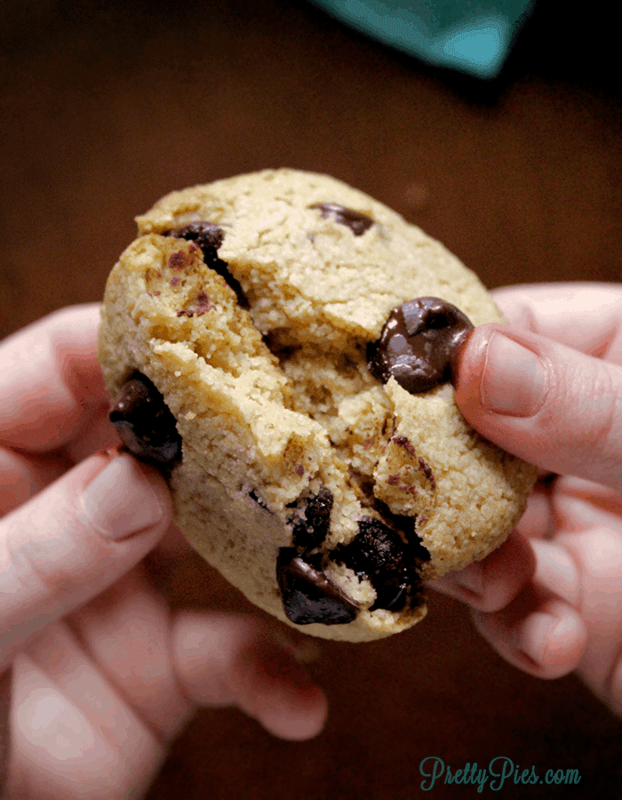 This recipe makes 10 standard size (3″) cookies. BUT it can easily be doubled if you want more! You can freeze the leftovers (if you have any!) in an airtight container. 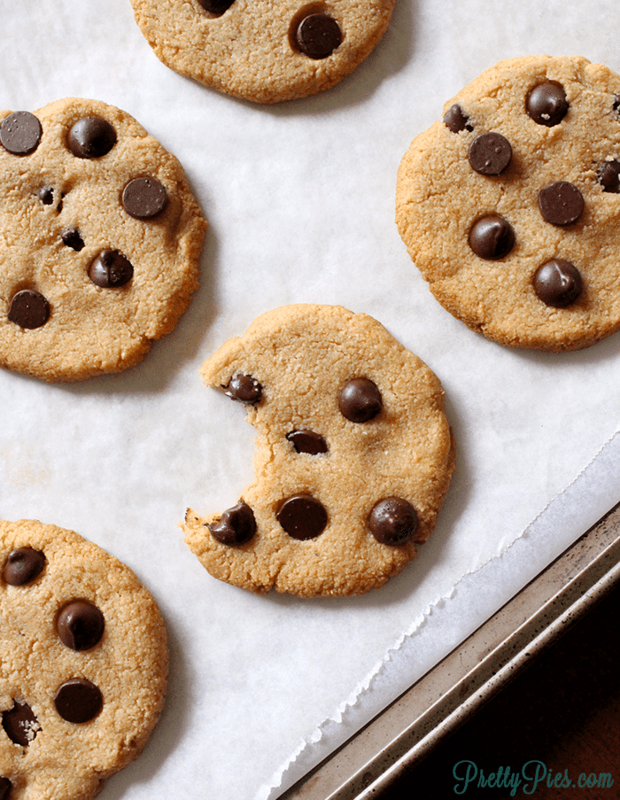 Tip: these cookies are even *better* warmed up in the microwave! Don’t forget to save this recipe on Pinterest! Click the image below. 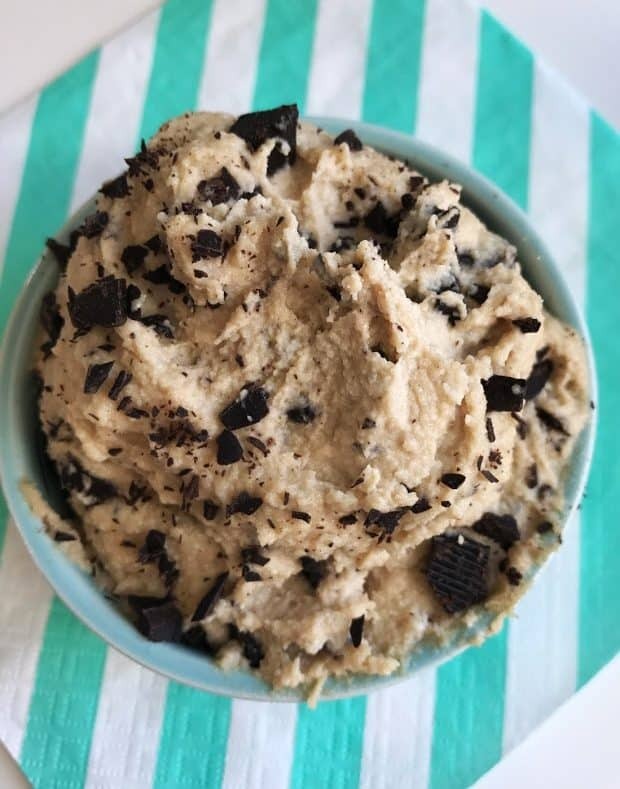 Follow me on Pinterest for more healthy dessert inspo! 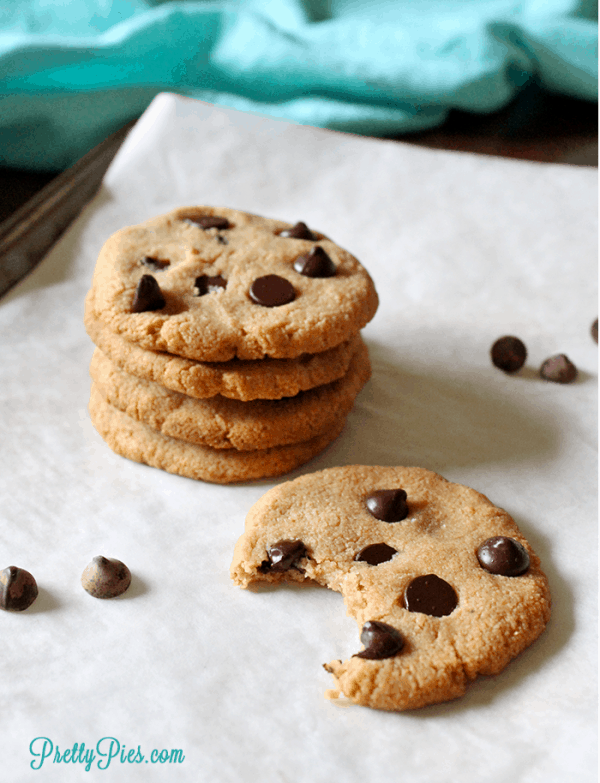 Deliciously CHEWY chocolate chip cookies made sugar-free, grain-free and dairy-free! Preheat oven to 325. Line a baking sheet with parchment. In a glass mixing bowl, melt coconut oil in the microwave. Stir in monkfruit, water and vanilla. Add flour, baking powder and salt. Mix well into a dough. If mixture is too sticky, add 1 tsp more almond flour. If too dry/crumbly, add 1 tsp water. Use a cookie scoop to form balls of dough. Roll smooth in your hands. Flatten into 3” cookies (cookies will not spread) and top with leftover chocolate chips. Bake for 12-15 minutes until edges are lightly golden and centers spring back when touched. Disclosure: As an affiliate I may earn a small commission from qualifying purchases made through referral links in this post (at no additional cost to you). Thank you for supporting Pretty Pies! To store: stays fresh at room temp in an airtight container at room temp for about 4 days. Freeze in a bag for longer storage. Dough may also be frozen uncooked. Just add a couple of minutes to the bake time. This entry was posted in Uncategorized and tagged almond flour, baked, chocolate, cookies, low carb, monkfruit. Yay! You are welcome I lovvvve that buttery flavor. Let me know what you think of the cookies when you make them! I made these yummy chocolate chip cookies last night and they are so good! Even my non-celiacs loved them. They didn’t even miss the sugar.